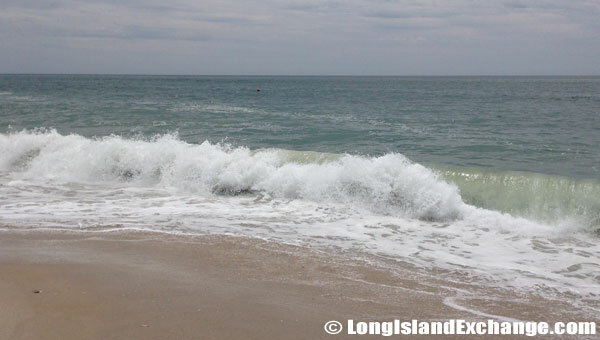 Fire Island is one of the smaller barrier islands that divide Long Island from the Atlantic Ocean. Fire Island is located in Suffolk County, approximately 31 miles long and varying approximately 0.1 mile to 0.5 mile wide. As of the 2010 census, the permanent population for Fire Island was 292, expanding to hundreds of thousands of residents and tourists during the summer months. The latitude of Fire Island is 40.647N. The longitude is -73.146W. It is in the Eastern Standard time zone. Elevation is 3 feet. On October 29th 2012, Long Island was declared a major disaster when Hurricane Sandy devastated the much of the South Shore. Fire Island was effected badly by this storm with some stating that Fire Island would “never be the same”. 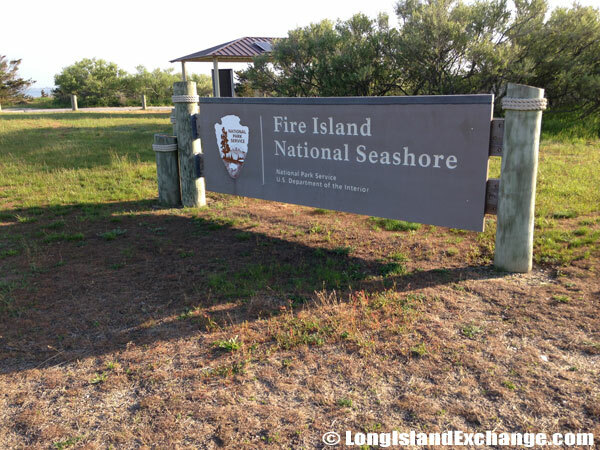 A sign welcomes visitors to Fire Island National Seashore. This sign sits at the end of of the Robert Moses Causeway about 1000 feet from the Lighthouse. This area begins a walking path to Fire Island. No vehicles are permitted beyond this point. No one is quite sure where Fire Island came from, or indeed, why it’s called “Fire Island” in the first place, because early records indicate it had been discovered by 1653. That’s when whaler and businessman Isaac Stratford began using the island as a whaling center, but before that there’s no clear indication of who lived there or how the island’s natural resources were being used. 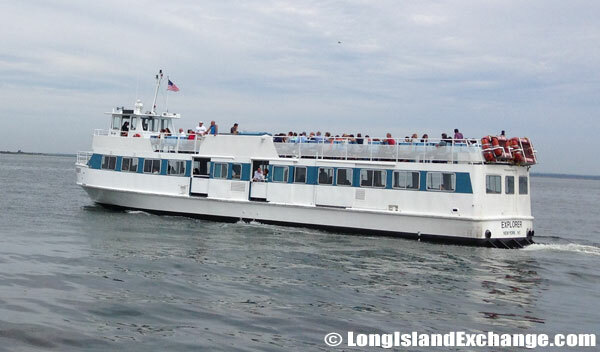 Explorer, one of the Fire island Ferries which arrive and depart at Saltaire heads to Bay Shore, Long Island. What is known is that Fire Island began constructing a lighthouse in 1825, and from there it was only a matter of time until it grew into a busy commercial district. 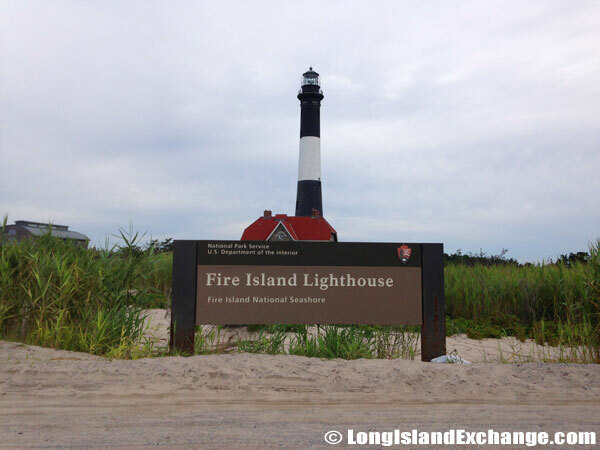 The lighthouse became a critical tool in guiding European ships into the New York Harbor, and for many immigrants in the early 20th century, Fire Island was their first glimpse of the New World. Looking north at the Fire Island Lighthouse from the 1.5 mile long sandy road which leads to Kismet, at the westernmost end of the Fire Island National Seashore. Perhaps this is where the mystery evolved concerning Fire Island’s name. Isaac Stratford dubbed it Whalehouse Point, but even before his death it wasn’t a name that stuck. To residents it was already “Fire Island“, a moniker that was eventually recognized by the government despite its seeming lack of origin. Some say it was named for the burning rash that accompanies the island’s poison ivy. Others content that those early immigrants may have called it “Fire Island” when approaching its land in blazing golden autumns. Others still insist it was pirates; according to legend, they used to lure sailors to the island’s sandbars by lighting fires along the coast. Decommissioned for use in 1974, a decade later the Fire Island Lighthouse was placed on the National Register of Historic Places and restored to its 1939 condition, when electricity was first installed. 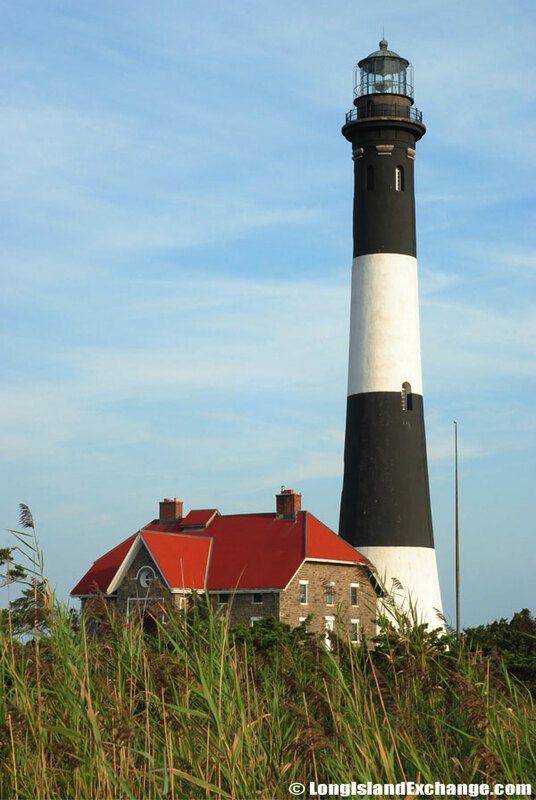 On Memorial Day, 1986, the Fire Island Lighthouse was relit and reinstated as an official aid to navigation. Whatever story you believe, it’s clear that Fire Island inspires a sense of romance in visitors and locals alike. Today just 292 people call Fire Island home, a number that has held steady for about a decade and shows little signs of significant change. With such a small population, you may be tempted to write it off as a “nowhere” town, but that isn’t taking into account the hundreds of thousands of visitors who flock to Fire Island every summer for a taste of its beaches and unpretentious charm. 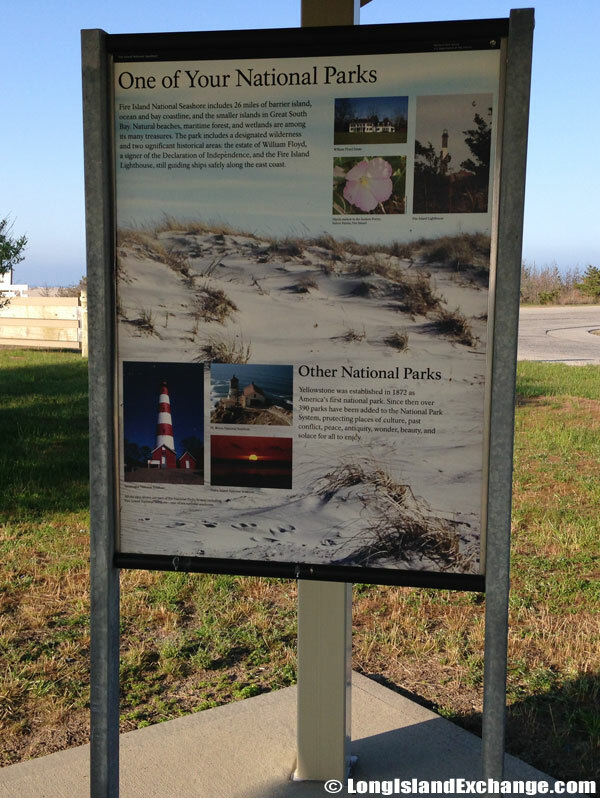 A sign highlights Fire Island National Seashore as well as other National Parks. A National Park is a protected area and overseen by the Department of the Interior’s Assistant Secretary for Fish and Wildlife and Parks. In truth, Fire Island is a thriving tourist town. It welcomed more than 700,000 visitors in the summer of 2011 alone, and unlike its population, this number is growing. Visitors love the striking landscapes and laid-back locals, especially the LGBT community, who have turned Cherry Grove into what’s commonly considered one of the most inclusive communities in the United States. The beautiful blueish-green, clean waters found on the shores of Ocean Beach. As for the locals themselves, the 292 who stay year-round maintain the purity of the island by keeping it clean and being careful not to disturb the ecosystem. Many live off the land in bungalow-style huts made of bamboo. Some are arranged inland in loose groups, forming communities, while others are built right on the beach on top of sand dunes wherever their owners see fit. Almost all of these areas are car-free during tourist months (Memorial Day through Labor Day) and riding anything other than a bicycle is cause for a fine. 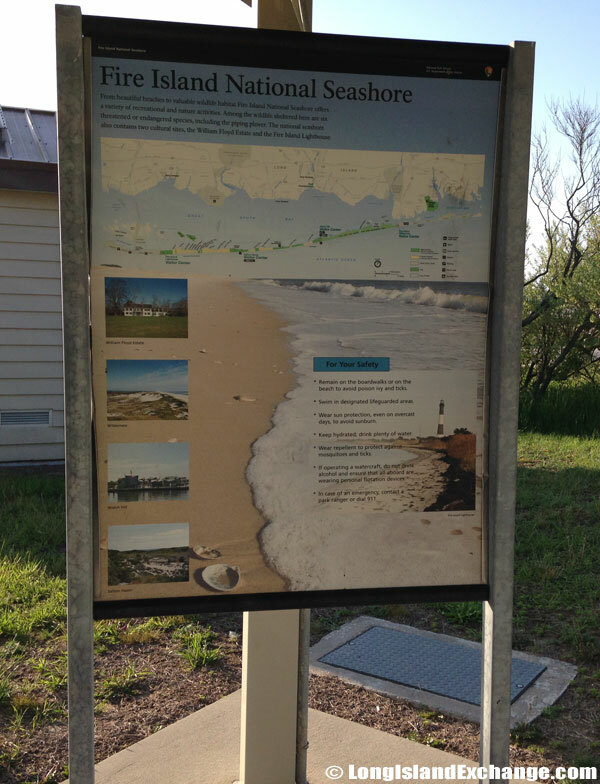 A sign maps sections of Fire Island National Seashore. If these sound like extreme measures for green living, you should know that more than 3/4ths of the island has been a protected area since being recognized as part of the Fire Island National Seashore. This was in response to the Great Hurricane of 1938, which decimated much of the land and is probably the cause of so many missing records. 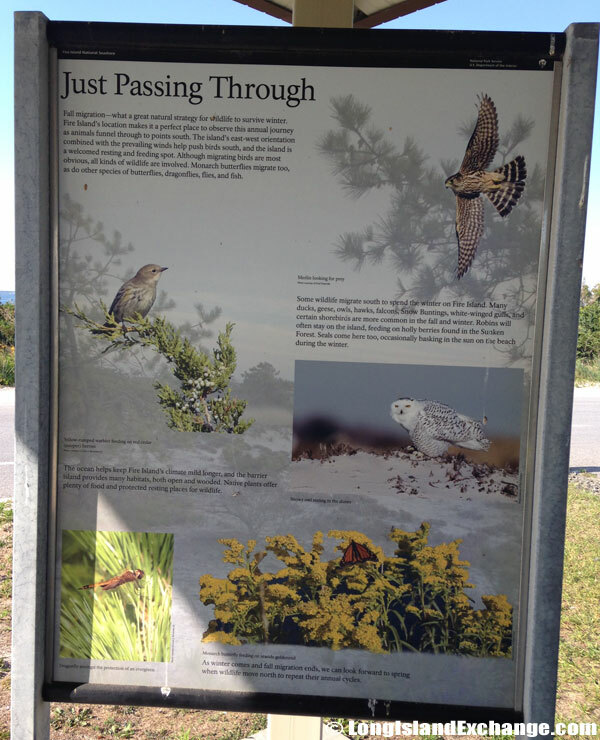 A sign shows birds and wildlife on Fire Island National Seashore. Ocean Beach: This is the most popular area of Fire Island, notable for containing almost all of the island’s bars, clubs and restaurants. You’ll also find ample shopping opportunities here, from the familiar retail brands of New York to the handcrafted fashion of the locals. Cherry Grove (Fire Island Pines): As noted above, Cherry Grove is one of the friendliest places in the world to the LGBT community. Quiet during most of the year, it sees a surge of activity during tourist season. Fire Island Pines along with its bordering vicinity Cherry Grove, comprise the majority of the gay community on Fire Island. Saltaire: A small village, Saltaire has been recipient of several beach restoration efforts since 2009 in hopes of attracting bigger crowds. If these are successful, it just may become another Ocean Beach. An Ocean Beach Fire and Rescue Bicycle sits outside the village post office. These are only a few options for Fire Island visitors; there are more villages stationed around the shore, and you’re also welcome to throw up your own bamboo hut and join the locals on the sand dunes. No matter where you decide to go, the island is small – about 31 miles around – so you can conceivably visit them all if you’re so inclined. Where did Fire Island come from? We may never have the answer. But with beautiful beaches, friendly communities and a light that still shines from the lighthouse, does it really matter? It welcomed immigrants in the 20th century, and it will welcome you.